In my world there is no such thing as a “one-plan-fits-all” approach. No guilt trips. No strict rules. No regulations. After being involved in the field of nutrition for over ten years, and working with people from around the globe, I realized that I needed to shake things up. The old traditional ways were not producing the dynamic results I wanted for my clients. And It’s Designed Just For YOU! That’s right. YOU!! Not your Mom, Hubby, Best Friend or Neighbour. YOU!! I honour all of your cravings, emotions, dreams and problems. Then, together we take each unique thread and weave it into a plan that is totally realistic, exciting and downright fun. 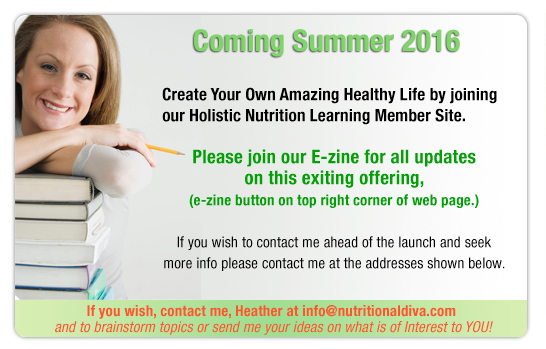 “Heather was the first to introduce me to the world of natural health. For that, I will be eternally grateful. She is a wealth of knowledge. 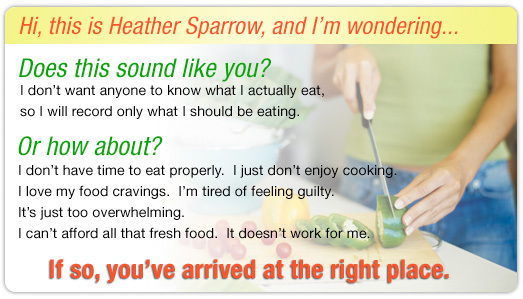 I would recommend Heather to anyone wanting to achieve optimal health, naturally. She is an expert in her field, to say the least." ”Heather is a gifted & glowing example of what a total ‘body, mind & spirited person should be! Natural health issues are her life. She creates an empathetic, accepting environment. Heather made me feel like I’m an important human being, worthy of total success in all areas of my life."